Hanoi (VNA) – The Vietnam Press Museum has been set up with Tran Thi Kim Hoa, head of the management board for component projects of the Vietnam Press Museum project, appointed as its Director, according tothe Vietnam Journalists’ Association (VJA). Speaking at a ceremony on August 16 to announce the Prime Minister’s decision on the establishment of the museum, VJA Vice President Ho Quang Loi said that the a large number of items and documents had been collected ahead of the introduction of the museum. The museum will collect, research, introduce and display typical journalism items and documents showing the formation and development of the country’s revolutionary, humanitarian and progressive press sector. At the same time, it will highlight the achievements of the press sector in the past and inspire journalists to continue promoting their glorious history and tradition. Loi said that all officials and staff members of the museum will work hard to collect exhibits, while making plans for the effective operation and development of the museum in the future. At the ceremony, many collectives and individuals donated various items and documents to the museum, including many original newspapers published in the 1945-1975 period, especially a collection of “Truong Son” Newspaper gathered by late journalist Luc Van Thao, who was the editor-in-chief of the paper. 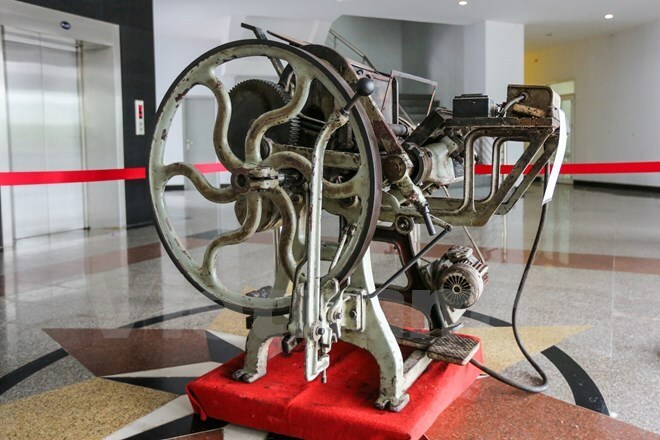 The museum also received a printer produced in 1966 by Viet Lap printing company in Cao Bang, and four bronze statues of martyr reporters by sculptor Tran Thanh Phong.